Reduced asking price! 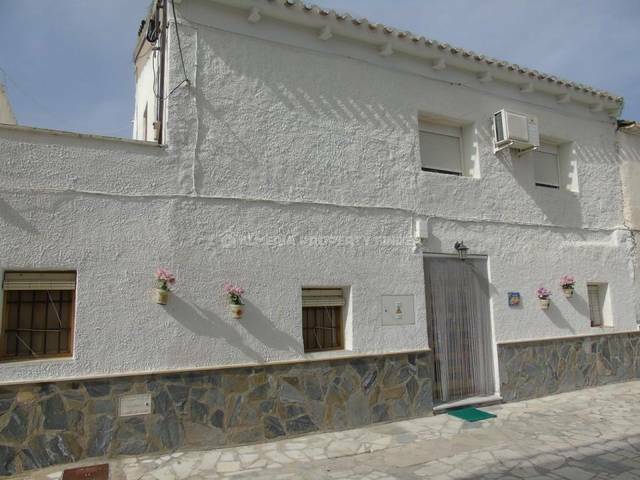 A rare opportunity to purchase a completely reformed semi detached village house in the Pueblo of Urracal in the Marble district. 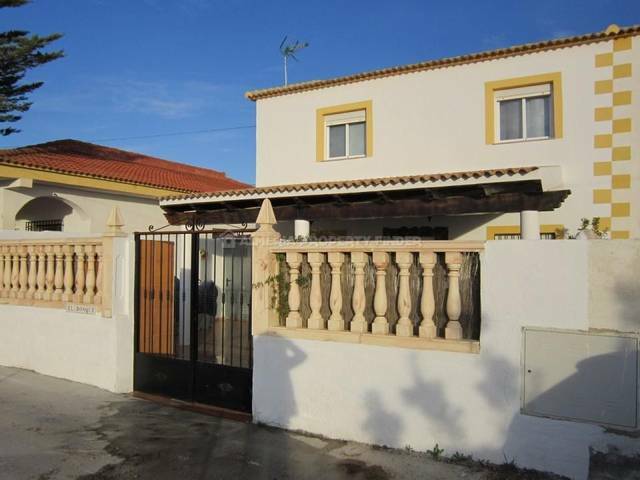 This 3 bed / 2 bath village house has been tastefully renovated and one must view it to fully appreciate the property which is spread over 2 levels plus the roof terrace. In brief it comprises of ground floor: entrance hall, double bedroom, bathroom, reception with an open fire place, kitchen / dining room with a high tech wood burner/oven and a partly covered court yard; upper level: living room and office area, terrace, 2 double bedrooms, hallway and bathroom. There is also a roof terrace with 360° vies. The plot is approx. 82 mts2 and the built area on the two levels 166 mts2. As one would expect in a lived in village house the property benefits from broadband, mains electricity and water. The village of Urracal is predominantly Spanish and offers all services and amenities including a municipal swimming pool, schools, bars, a small supermarket and so on. The larger town of Purchena is less than 5 minutes drive. This really is a rare opportunity and the first client that views this property and is looking to settle or to holiday inland but an easy drive to the coast, will fall in love with the property. For more information or to book a viewing appointment please visit our office or contact us via phone or e mail. Almeria airport: 1.15 hrs., urcia airport: 2.1/2 hrs., Alicante airport: 2.1/2 hrs. and Granada airport: 2 hrs.